Numerous variables must come into proper alignment for any business to steadily grow and prosper for more than a century and a half. There must be dynamic leadership. The ability to adapt and innovate. A dedicated workforce focused on customer service. These business traits and a host of others were the cornerstones on which First Tennessee Bank was founded in 1864 and remain foremost among the bank’s goals and objectives today. back row: Jimmy Martin, VP Commercial Banking; Linda Bailey, SVP, Private Client; Jay Dale, SVP Team Lead and Corporate Relationship Manager; Bob Giebert, SVP, Credit Risk Management; Camille Daniel, SVP Team Leader and Corporate Relationship Manager; Vivianne Fernandez, Registered Financial Services Representative; Tracee Smith, VP Community Development Manager. Frank S. Davis was sitting in his hotel room in downtown Memphis in March 1864 listening to the clatter of horse-drawn wagons, the tramp of marching feet, and the shouts of military commanders. Union ironclad gunboats had captured the city in June 1862, just a year after the American Civil War began, and Memphis would be occupied by the Union army for the remainder of the war. As an important Union supply base, Memphis would continue to prosper economically throughout the war that devastated much of the South. Davis sensed a pressing need for expansion of banking and credit facilities for those difficult years. When the National Banking Act of 1863 was passed, Davis recognized the many advantages offered by a system of national banks chartered and supervised by the Federal government. It was because of this insight that Davis founded the city’s first national bank, which grew into today’s First Horizon National Corp., the parent company of First Tennessee Bank and FTN Financial. It was the beginning of a new era in banking. 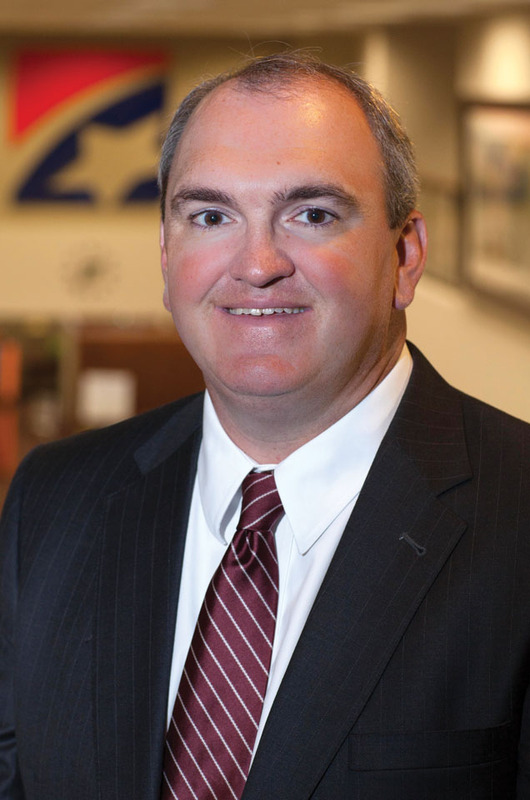 Jeff Jackson, Chattanooga Market President. The great sesquicentennial celebration in 2014 spotlighted First Tennessee Bank’s legacy of serving customers from the time Abraham Lincoln was President of the United States. During that time, First Tennessee has helped fuel Chattanooga’s growth and development through innovative products and services that provide value and convenience throughout the lives of its customers and their businesses. Banking services include Checking, Savings and CDs, Online Services, Mobile Banking, Prepaid Cards, and Cash Rewards. In addition, customers have turned to First Tennessee for a variety of loans: Home Equity, Mortgages, Credit Cards, Personal Loans, Auto Loans, and Resources. 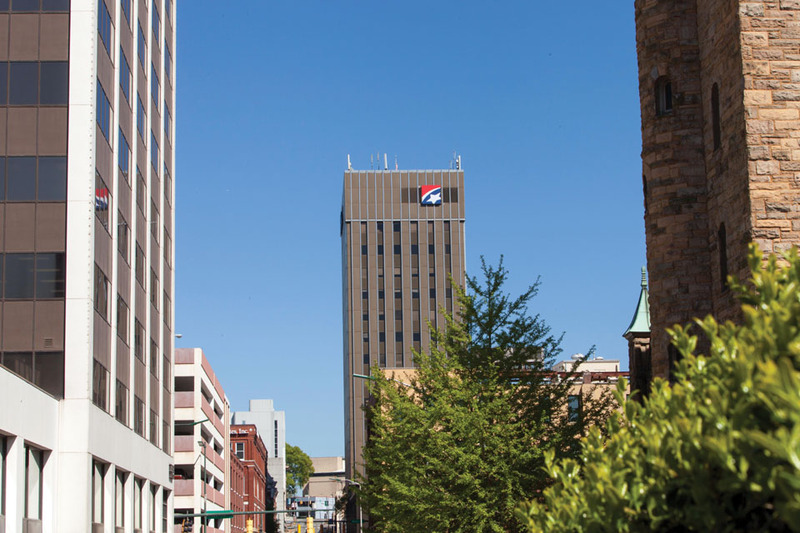 In April 2016 First Tennessee marked 40 years in Chattanooga, having purchased Hamilton National Bank in 1976. As the market share leader in Tennessee, the bank now serves families and businesses in Southeast Tennessee and North Georgia through 160 locations, including 18 financial centers in the Chattanooga area and North Georgia. For a century and a half, the First Tennessee story has been one of building enduring relationships with customers, employees, and communities. The team members are committed, greet customers by name and, as both a company and as individuals, the First Tennessee team shares the hopes of its neighbors for a better place to live and work. They are proud to help realize those hopes by supporting many of the activities and efforts that have enhanced the quality of life in the Chattanooga community over the past 40 years. 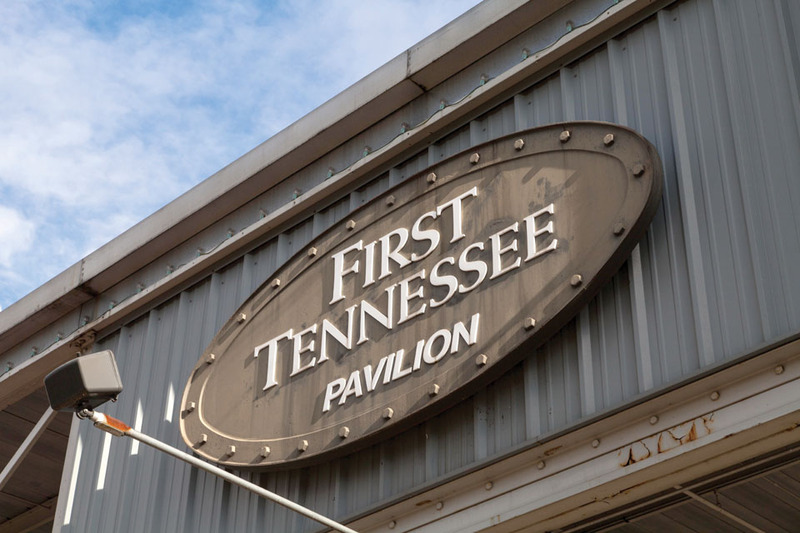 One of its most noticeable efforts has been support of the First Tennessee Pavilion on Chattanooga’s south side. 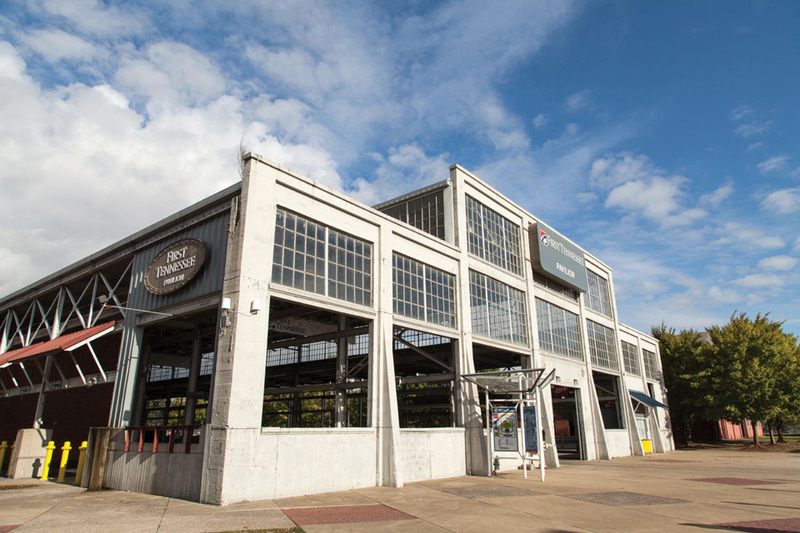 Host to a weekly Chattanooga Market, the Pavilion serves as the gathering place for University of Tennessee-Chattanooga Mocs fans before football games on fall weekends. In the spring, the Pavilion is transformed by the annual Four Bridges Festival.